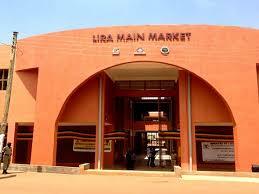 Lira Municipal Council is considering a new outlook in service delivery that will convince market vendors and other business people to be more responsive to tax payment which has been a challenge in the past financial years. Speaking in an interview, the Municipal Deputy Town Clerk Mr. Patrick Ogweng admitted that service delivery has been poor which made revenue collection very low. He said they have considered sensitization of the community on their roles in improving service delivery if they pay the taxes willingly and in time without the use of the law enforcement officers. He said the community expects much service delivery from the Council but because of inadequate resources in terms of finance they get from local revenue, Central Government and the donors, the community have remained complaining. The Deputy Town Clerk however blamed some of the business community for lack of cooperation citing the illegal displaying of merchandise on the newly constructed walk ways and garbage dumping. Opio Daniel, a vendor in the main market complained about the high charges for water, use of latrine and that the hygiene at some of the eating places among others, are the areas that Lira Municipal needs to address.